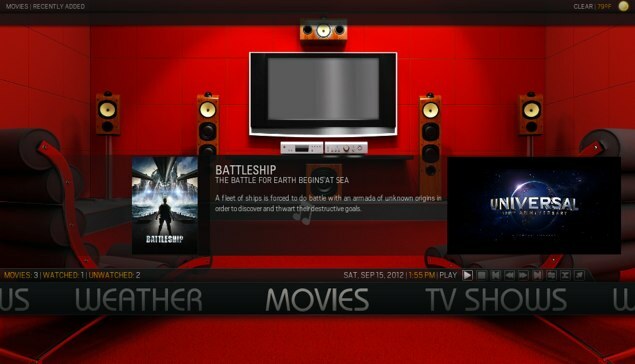 We had mentioned awhile back when we wrote all of our XBMC guides that one of our favorite skins was the Aeon MQ 3 because of its sleek appearance and customizability. I’m happy to announce that the developer of the skin released the first stable version (and first public version) of Aeon MQ 4 over the weekend, and like prior versions it won’t disappoint. Aeon MQ 4 includes a slew of new features including the ability to reorder the main menu, a whole new submenu system, and a new “pause” screen that puts the information you want the most front-and-center. In previous versions of the Aeon skin you’d also have to select what kind of user you are during the setup process so that it would know whether it should run in a highly optimized mode with little customizability, or in a power user mode where you could change all kinds of stuff with the tradeoff being the performance. If you were using a system that was low on resources you’d probably lean towards the optimized “light” mode. They have ditched that and will automatically detect the appropriate mode based on the changes you make. If you want to install the skin you’ll need to add the developer’s skin repository to your XBMC, which you can use our previous instructions to learn how to do that. Make sure you have some time set aside to play with the new skin because the layout has changed quite a bit. I should also note that if you were using the Aeon MQ 3 skin that your settings will not be imported, which means you’ll essentially be starting fresh in terms of customizing the skin. I also thought it would be worth mentioning that one XBMC community member has put together several tutorials on managing different aspects of the Aeon MQ 4 skin, which is especially useful if you’ve never used the Aeon skin before.